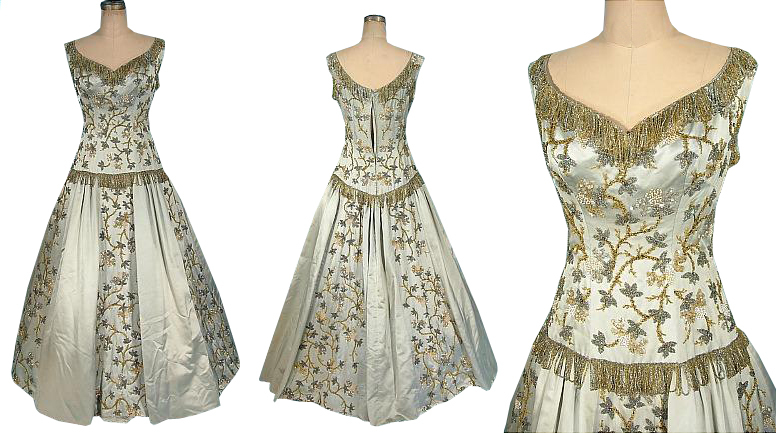 This vintage gown is a marvelous beauty created to add feminity and style to the wearer wardrobe. 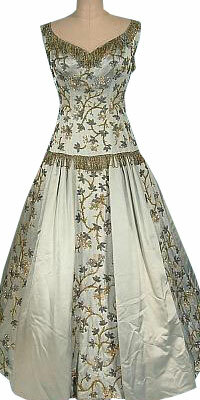 The floral glittering all over the bodice is an eye catchy feature making the wearer look classy and elegant. The floral glitters add grace and beauty to the whole attire.